Spacious, five-speaker performance. Powerful bass. Sleek design. 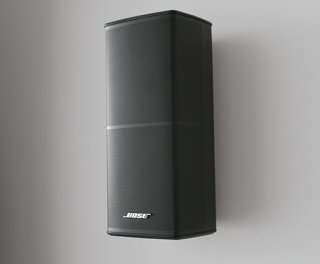 The Acoustimass 10 Series V speaker system has it all for component-minded home theater enthusiasts. It’s our best-performing Acoustimass system, with redesigned Direct/Reflecting® Series II cube speakers that pair nicely with your HDTV. Resounding bass performance from an advanced Acoustimass module lets you enjoy all your entertainment even more, every day. 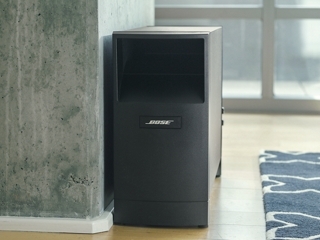 Direct/Reflecting speakers have always provided powerful sound from a small design. And now we’ve made them even better, with a slimmer profile and precisely angled drivers inside the speaker for an immersive audio experience. They make a great match for your HDTV and flushmount to your wall with optional brackets. They’re easy to install and eliminate nearly two inches of extension from the wall compared to the previous model. A good story makes a good movie. But good sound effects make a great movie. And that’s where the Acoustimass module comes in. It features proprietary technologies and two powerful, downward-firing drivers for the impact you want. Pure, deep sound, without audible distortion. Even at loud levels. You can tweak the low-frequency effects to your liking with adjustable controls. And you can place the unit out of sight behind a couch or curtain.